What should your investment planning look like? 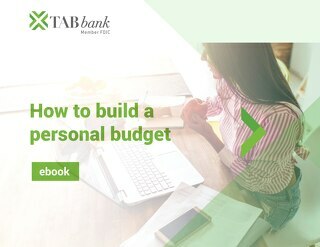 TAB Bank has products that can help. 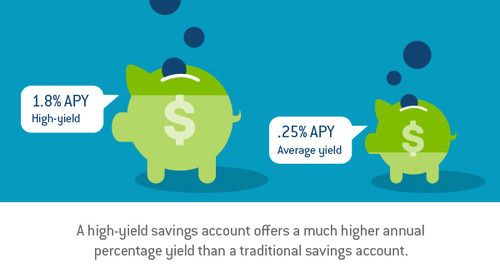 Home » Personal Banking Tips » What should your investment planning look like? Investment planning is a crucial consideration for everyone. The benefits of investing are universal, and everyone who can set aside some money from each paycheck should definitely prioritize doing so. Let's look at how to build an investment strategy that makes sense for your personal goals, feelings about risk and reward and many other factors. There's no one single investment strategy that is right for everyone. The complexities of the markets for stocks, bonds, funds and other vehicles, the availability of both closely managed investment funds and their index fund (which follow specific, preset rules) counterparts, and differing priorities around potential gains and losses all play a part. Of course, stocks, bonds and securities are far from the only investment vehicles to potentially use. Everything from the 401(k) offered by many employers to private investment tools like IRAs and options offered by financial institutions, like certificates of deposit and high-yield savings should be considered. The most important thing on the individual level is to choose an approach that offers a realistic path toward the potential for growth and balances appetite for risk with the consequences of losses on more volatile investments. An investment strategy should have defined goals and processes, Investopedia pointed out. Is your goal to realize relatively short-term gains within a decade, save for retirement, have money on hand to pay for your new baby's college education or something else entirely? Determining your goals can help you work backward to determine the best mix of investments for your needs. A strong understanding of any and every investment is vital to reduce unnecessary risk and make logical, reasonable decisions. When you don't have a thoughtful, reasonable decision process for making a specific investment or choosing one mix of investment vehicles over another, you're more likely to see less-than-ideal results. U.S. News & World Report suggested investing in businesses and industries that you understand. Otherwise, investing becomes more like a game of chance. When it comes to managed funds, mutual funds and other investment options that rely on groups of stocks and bonds, make sure you understand the rationale behind specific funds and why they invest in certain securities and not others. These investment strategies may range from the very specific and inflexible rules set by index funds to the much more subjective approaches taken by some individual investment fund managers. There are plenty of ways to gather the information needed to make informed investments. Although often technical and dry, funds should provide upfront disclosure about how they use your money, and it's certainly worth the time to review that material. For individual stocks, consider the company, their industry, the overall economy, past performance and similar factors. This process can be time-consuming but also rewarding, as you need to carefully consider each and every stock. A wide range of investments can help you avoid putting all of your eggs in one basket. As you look for potential investment options, don't ignore the unique balance of security and guaranteed returns offered by CDs. These vehicles have their principal guaranteed by the Federal Insurance Deposit Corporation, which means your money is secure even in a worst-case scenario. CDs lock up funds for a predetermined period of time, but also provide a much stronger return than traditional savings accounts. 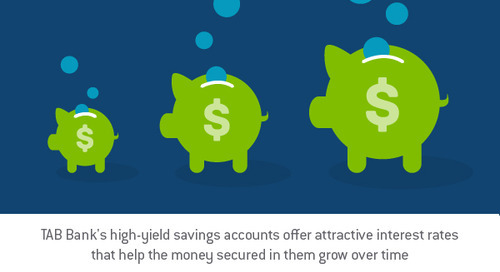 You should also consider high-yield savings accounts. While this account doesn't provide blockbuster returns, its rate is far superior to that of a standard savings account, offers the least risk possible and keeps your funds fully liquid. To learn more about how TAB Bank's competitive offerings can fit into your investment planning, get in touch with us today. Mr. Palmer is a Certified Regulatory Compliance Manager. Prior to his experience at TAB Bank, Mr. Palmer spent 13 years at Wells Fargo, the last ten being spent in regulatory compliance roles focusing on international BSA/AML compliance as well as mortgage and consumer lending regulations. Mr. Palmer holds Bachelor of Science degrees in Finance and Marketing from Utah State University and a Masters of Business Administration from Brigham Young University. He oversees and directs all operations and personnel as it relates to TAB Bank’s risk management, compliance, and regulatory functions. 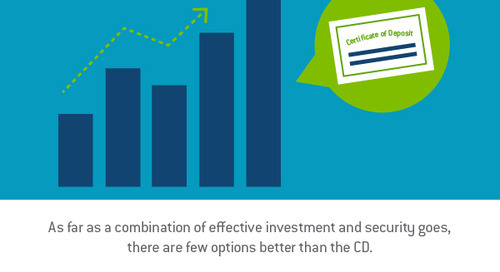 What is a CD and how do they help your financial position? A CD is a form of time deposit. In simple terms, it means you commit to providing a certain amount of money to your financial institution for an agreed-upon period of time. 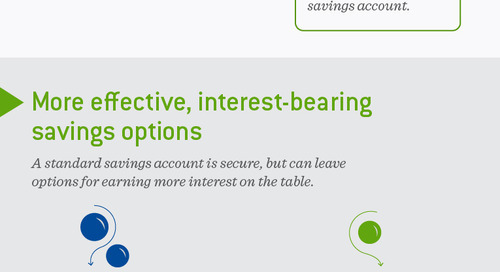 Savings accounts are among the most widespread financial tools. If you keep your money in a bank, you're almost sure to have at least one of these accounts in your name.